After the successful show at Landskrona Konsthall this past summer, we still have more new and important works to present at the Farm than we actually have space for. A temporary solution has been made by Greger (not without a little hesitation at first from the younger Olsson generation…) thus resulting in some movable walls which are now currently in the ”pigsty room” as we call it. On display on the moving walls are eight of Raul Farco’s latest drawings, two of Henry Mujica’s paintings and two older masterpieces by Fabio Herrera. 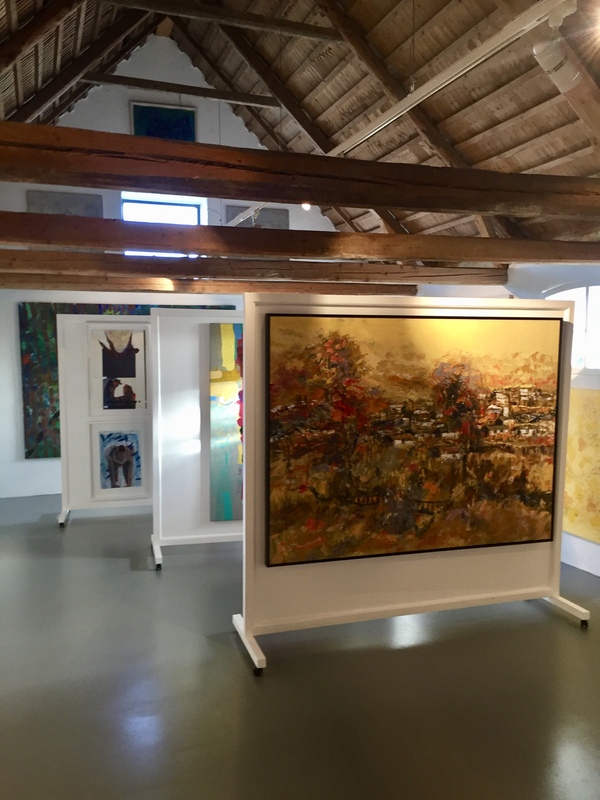 In closeup, Henry Mujica’s painting from 2016 ”La Dama que Torea” and Fabio Herrera’s masterpiece from 1994, ”The Island”. And if you miss seeing the oriental carpets usually spread out to cover the floor – please stay tuned; the senior Founder is working on it as you read so stay tuned!